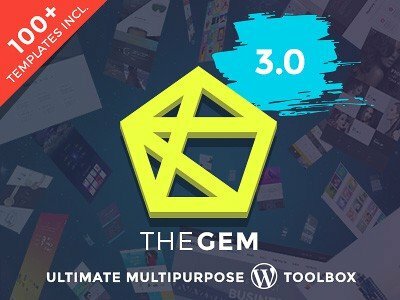 Unique collection of the BEST Creative Web Designs for inspiration. All modern trends of web design 2018 are included in showcase. Enjoy and BE INSPIRED! You might be also interested in our BEST Creative WordPress Themes Collection! If you’re after motivation and inspiration for a website you’re about to create, you’ve got to the right place! Every designer have experience with lack of inspiration for a project! Sometimes it just happens. It might different client in an unknown sector, business (logo) colors or just need for creating something different what will stand out from the crowd. 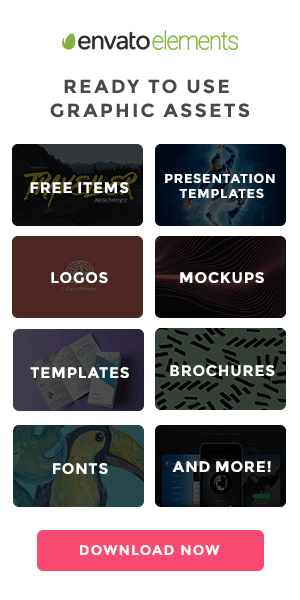 This collection contains top designs with modern 2019 web design trends, such as, hipster, minimalism, flat etc. You’ll definitely enjoy this scrolling tour. This is definitely the most popular design we’ve posted on our behance lately. It’s a super professional product presentation meeting all the modern web design trends of 2018. Beautiful combination of trendy branding, unique layout, clean design, PRO photography makes it one of the best product pages out there. What’s more, this is only 1 single demo design of this WordPress theme which is one of the bestsellers in 2018. There are more than 100 pre-designed pages, ready to use. Make sure you visit live preview as well, this is not PSD (pic) only! It’s fully functional website theme. It’s has been featured in few of our collections and it’s definitely gonna be a big inspiration for web designers. Divi definitely belongs to this collection because there has been amazing amount of work done on it and the results is killin’ it! Divi is wordpress theme for websites and amazing inspiration how to be creative with objects, background and colors in your website. Template is very clean, modern and full of amazing features. You can preview DIVI live demo to see what I’m talking about. Guys from elegantthemes challenge themselves obviously and decided to put great effort in new update. Brook is super popular web theme from Themeforest! It’s highly advanced graphics web product which stands out of crowd everywhere. It comes with many color combinations of very bright colors, minimalistic elements, and trendy 2019 typography. On live preview, you can also see lots of moving elements and stunning video backgrounds. Check out the live link and all the other demos, we are sure that just scrolling through those for few minutes will boost your creativity and bring new ideas! It’s BROOKx37, meaning it’s not only 1 design but 37 pages in one. All of those are very similar but different at the same time. All demos represent a different way of using this theme, such as creative agency, business website, artist portfolio, web designer portfolio, graphic design showcase website, etc. The options are endless with Brook create theme. Inside The Head comes from Sweden by SARA SVENSSON. It’s a publication representing various feelings, confusions, and experience of young people. It’s sort of an online book/reading which you can control just by few drags and clicks. Graphics are highly representative and artistic with a modern touch. You should definitely have a look to get inspired and also spend some time reading to learn something about young people, it’s very interesting. ENJOY! It’s been also announced as one of TOP 20 web designs in 2018 and that’s def. something. LaCasa is stunning and unique website showcasing one of the Spanish TV shows. It’s super interactive and connected with 3D visual tour. It’s been nominated on AWWWARDS.com as one of the best design in 2019. What definitely big deal on this design is responsivity. This crazy design and functionality is fully mobile friendly and works with no issues. The only problem is the speed but it’ kinda understandable. Make sure you visit live preview, you have to see that! Enjoy your LaCasa tour. This website is representing popular Canadian creative agency offering marketing services. As you can on screenshot it’s very well organised, clean and very creative. But what you can’t see is the functionality! There are tons of creative CSS effects right on the homepage but what’s also super impressive are subpages, such as, team, careers, contact, agency etc. They are all customized and filled with creative / interactive effects. Check out also their interactive instagram feed / blog by clicking option in right top corner called “play”. Visit live version in order to get right inspiration for your next creative project! LoFlo Records is portfolio website of Jane McNealy, pianist, composer and singer songwriter from USA. You can’t really see much see on screenshot since it’s impossible to make good one! Scrolling experience is just something I’ve never seen before and portfolio is smoothly connected with soundcloud. Other subpages are made the same but it’s really interactive and intuitive. Check out live version to get some great inspiration for your next web design project! Sports Authority is super famous web design of lookbook from pinterest! It’s been rocking there since beginning of 2018. It’s created by Jason Kirtley from Texas, USA. Purpose of the design is landing page for eshop, showing off different products in action and explaining the story on various sports disciplines. Rumchata is very unique website concept with amazing functionality. It comes with amazingly smooth scrolling and interesting parallax sections which are super creative as well. Social media interaction also plays huge role on the web. The bast part are the recipes. Since, website is presenting alcohol (rum) it’s an amazing idea to give visitors ideas on how to prepare lovely cocktails from. Feel free to scan the website by yourself and find out other interesting stuff to get some 2018 inspiration for your web design project! Rumchata web design has been nominated also as “site of the day” on awwwards.com, so good luck & cheers & enjoy your drink. Heli is WordPress theme from themeforest with meeting all the modern web design 2018 trends. With it’s clean black & white design Heli caught attention of TF visitors and became one of the weekly best sellers. When it comes to functionality, that’s whole different story because it’s packed will really cool stuff. Visit link in the beginning of paragraph and find out more about Heli by yourself. You can preview live demo as well and try real user’s experience. This design is very popular on themeforest marketplace, which is one of the biggest shop with web design resources, such as, graphics, plugins, wordpress themes etc. Shopkeeper rocks in the ecommerce category and it has been definitely bestseller for couple of days! There is plenty of eshop inspired by design of this template. It has bunch of different version which are truly advanced when it comes to quality of design. All elements on the website meet current web design trends of 2018 even that template was created a year ago! Probably the biggest graphic asset are hipster photos which are really popular nowadays in almost all industries. Then minimalist style if products and description are just something what people really love, since apple rolled out their branding. If you look at the theme there is actually nothing too special about it, it’s just the perfect combination of 2 very modern trends. You shuld definitely keep these things in mind while designing your website. You have to meet trends and show something your target group likes to see! Smart branding, intuitive design, creative approach are essential nowadays. Another amazing wp theme for web design inspiration! It’s been rocking in some of our collections and also on pinterest where template has hundreds of repins and likes. It’s very powerful template which you can use for creating modern online portfolio. Definitely comes with most unique design which I’ve seen lately and designer deserve 5 star rating for this web. Considering it’s web template not just single design website the level of quality is very high. For more information and live preview of NO8 visit the markeplace website. On our preview picture you can only see half of the design of homepage. Whole web has much more page and elements included. APIDURA is shop with cycling stuff and it’s definitely should be part of this cool collection Web Design Inspiration 2018! It’s base on simple design and unique play with background. Picture in background are related to topic and there other amazing elements. I’m not sure when the website was build but it still rocks in 2018! It’s definitely one of my favorite and it rocks on pinterest as well! It has been pinned to 10k+ boards all around the world. I believe the sales power is strong because the way how the branding is promoted is phenomenal and very creative. Go a head an check it live here. Very creative and tasty website for restaurant. Design is based on vintage & retro elements, hand writing font and clean professional photos of food. This website represents web design company in Belgium. Beautiful combination of colors and minimalism seems like winning strategy in 2018! Check live version here. White frontier is website for brewery company. Great branding elements of 2018, such as, hipster, retro, vintage are mixed together into this masterpiece. Check live preview. Coffee brand website representing and selling products. Very clean design and creative photos are great combination for remarkable layout. See here. Minimal, metro and flat together in this epic combination! Website represent HR agency in czech republic. See live version here. Amazing agency website! Creative and unique design show off the brand in stunning way. This is great example how to push branding a head in 2018! See live version here. I hope you’ve enjoyed this collection of creative web designs for inspiration in 2018 and you’re going to create something even more outstanding! In case you will, let me know and I can add your work to this collection. Remember there are plenty of resources for inspiration and you are able to learn all the trends and how to implement them. 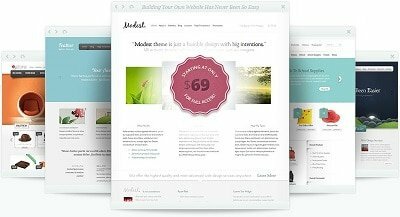 You can save a lot of time by visiting one of my best wordpress themes collections and you can pick pre-designed stuff. You won’t be 100% unique but your client will be satisfied for sure. Awesome! It’s interesting to read with designs. I get some tips here. Thanks for sharing! thank you for feedback Isabella! Very inspiring, agree 🙂 I just launched my first website , I tried to make attractive design for readers ( I can’t code, so that I just used professional templates from templatemonster.com/wordpress-themes.php ). I think quality design and catchy content are the main components of a succesful site. These designs are so eye catching, visualization is just so perfect. The visual effect and the design is so great and eye catching. I definitely need some of that! Working as a newbie in a professional website development company. Amazing website designs with good blend of typography and colors!! Specially those walls fading up into columns on the interior site caught my eye. Good creativity. Thanks for sharing!